If you've ever wanted to add some bling to your Mercedes-Benz key, here's an idea--Swarovski Elements. Currently only 800 of these colorful crystal encrusted keys are available in Japan, though Seattle would enjoy showing some off when or if they become available. 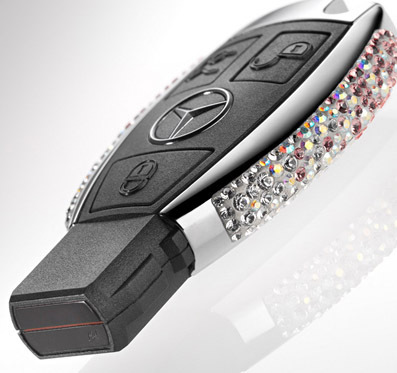 If any of these amazing keys ever show up at Mercedes-Benz of Lynnwood, you can be sure we'll let you know! The idea, born in the Daimler "Business Innovation Community," gives Daimler employees around the world the opportunity to post their ideas on the company intranet, then have fellow employees comment and further refine the ideas.